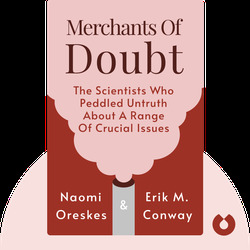 Merchants of Doubt (2011) examines some of the world’s major scientific debates on topics including the environment, smoking and nuclear weapons. These blinks will explain how a handful of extremely vocal scientists have heavily misrepresented these issues through the mainstream media, often with the goal of aiding corporate and industry interests. 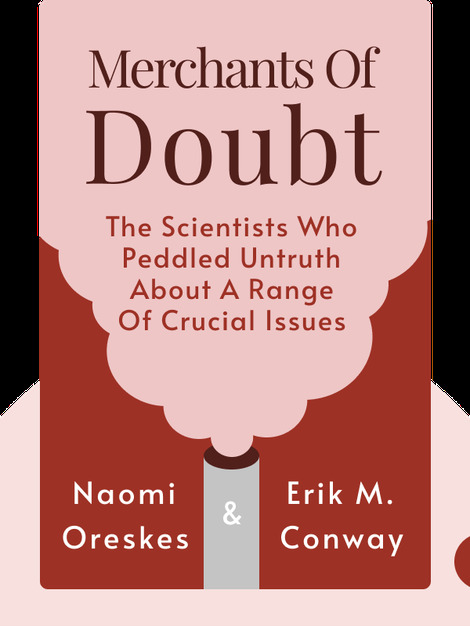 Naomi Oreskes teaches at Harvard University where she specializes in the history of science. She has previously spent 15 years as a professor of history and science studies at the University of California, San Diego, and is also respected authority on geophysics and global warming. Erik M. Conway is a historian and author, and currently works at the California Institute of Technology in Pasadena.